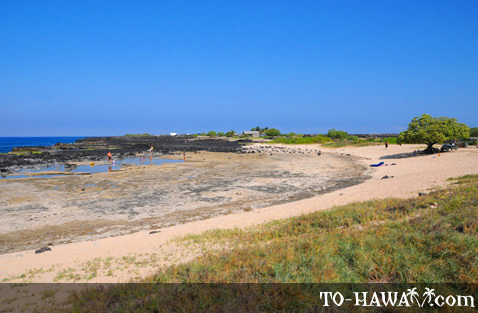 The main attraction on this small beach is the sand-filled tide pools, which are protected from high surf by rock walls. 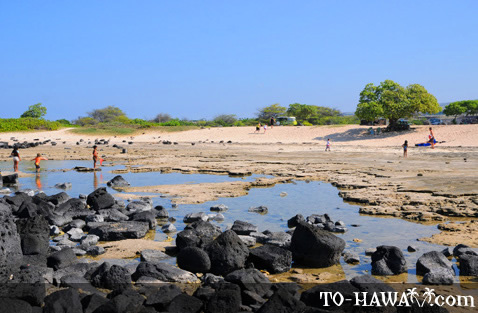 These shallow basins are nice play areas for children and offer a cool retreat for adults. 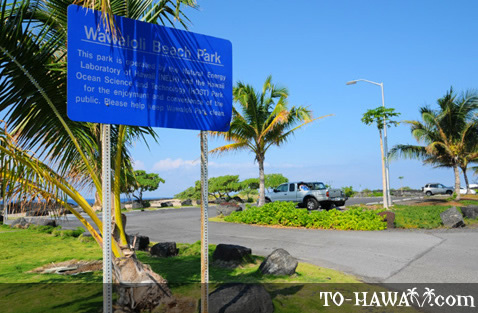 Wawaloli Beach Park is operated by the Natural Energy Laboratory of Hawaii (NELH) and the Hawaii Ocean Science and Technology (HOST) Park. 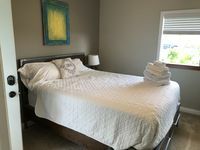 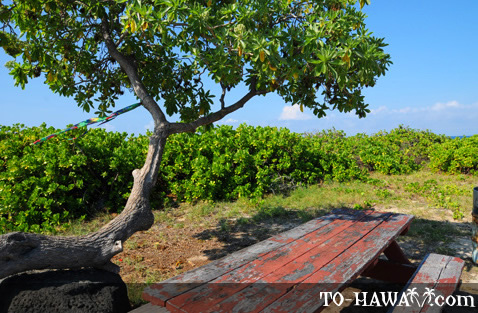 They provide convenient facilities to spend a day, such as picnic tables, barbecue grills, showers and restrooms. 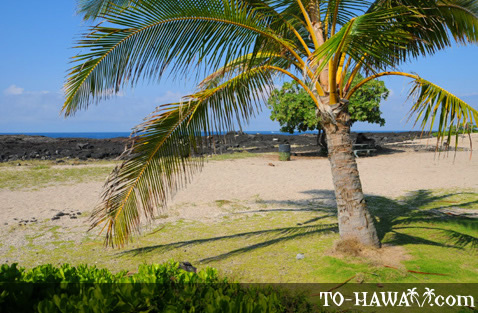 Directions: Located north of Kona Airport off Highway 19. 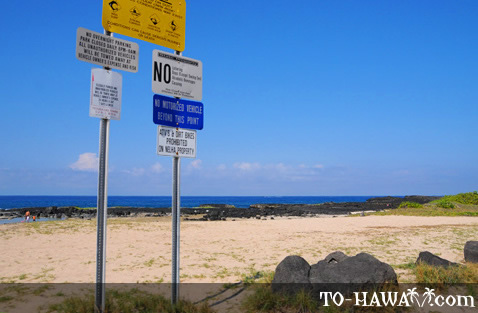 Make a left turn at mile marker #94. 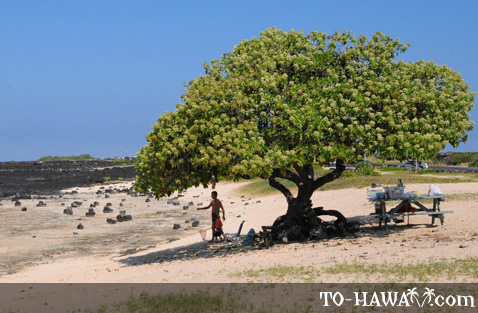 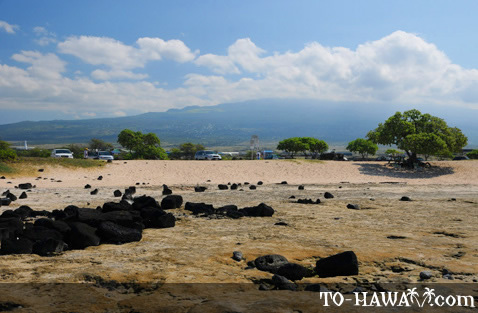 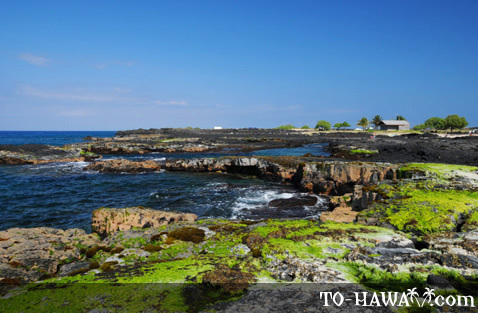 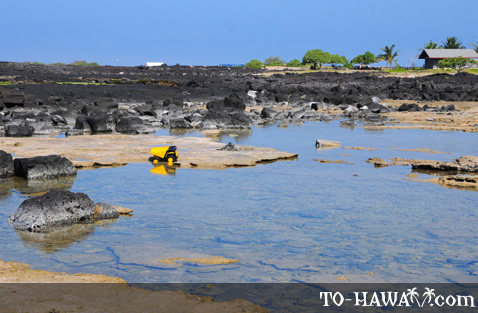 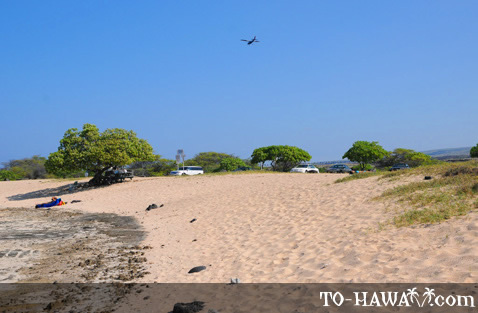 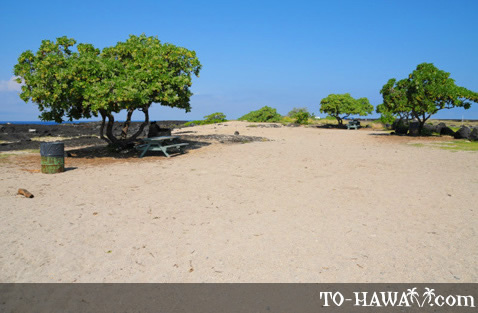 You'll find the beach park where the Natural Energy Lab of Hawaii road curves north toward Keahole Point.